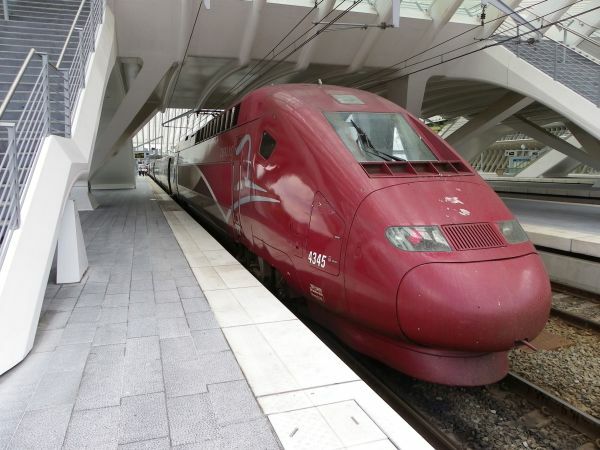 A refurbished Thalys TGV unit 4345 at the Liége (Lüttich) station 13.7.2010. Thalys is a joint French-Belgian-Dutch-German company owned by the respective national rail companies. It operates fast bullet train services between these countries, especially between Paris and Amsterdam and Paris and Köln (Cologne). Thalys uses French TGV trains of which it has two different generations. 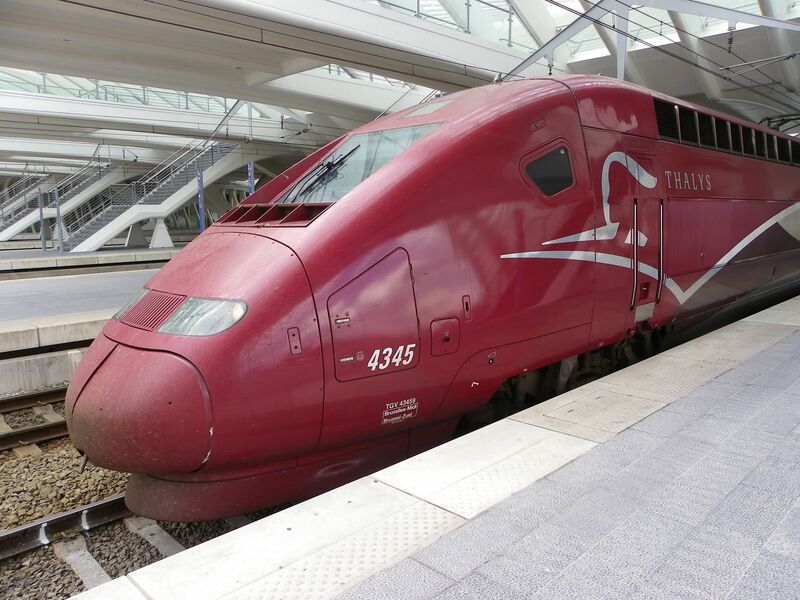 This one is the newer one, a TGV POS in Thalys' wine red current colours. Photo of the Thalys unit 4345 locomotive unit at Liége (Lüttich) station 13.7.2010 by Ilkka Siissalo. 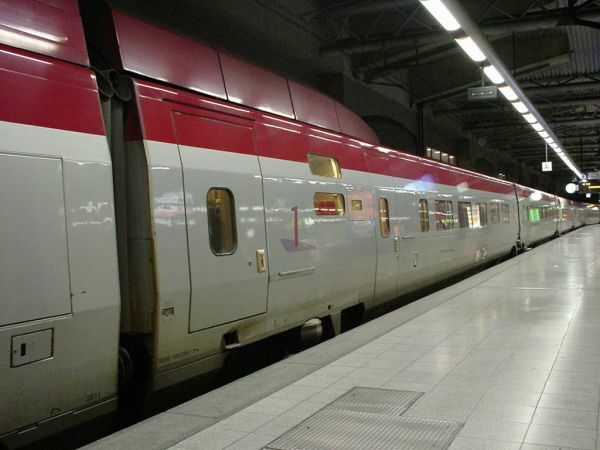 A bar coach at the center of a Thalys TGV POS set. Photo from Liége station 13.7.2010 by Ilkka Siissalo. 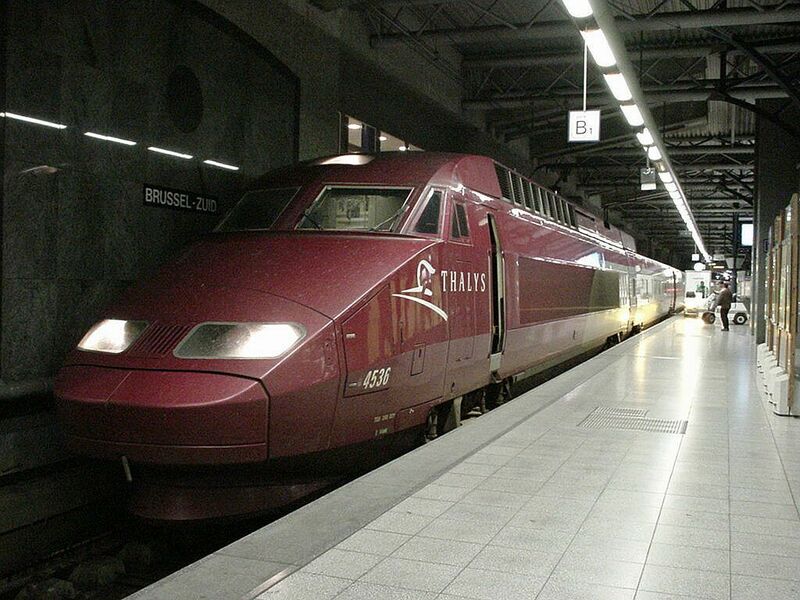 One of the oldest Thalys sets, number 4536 at Brussel Zuid station 6.9.2002. 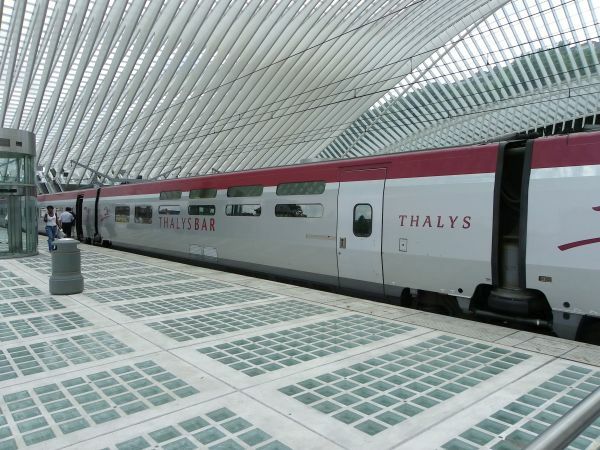 It had still the very first Thalys painting scheme. Same train as above. The first coach behind the locomotive cars in the old TGV units was always 1st class. Picture from Brussel Zuid station 6.9.2002 by Ilkka Siissalo. The Eurostar is a joint venture company of the state railways of France and Belgium and in the UK Her Majesty's Treasury. These trains are French class 373, which is a further development of early French TGV bullet trains. Top speed of these older Eurostars is 300 km/h. 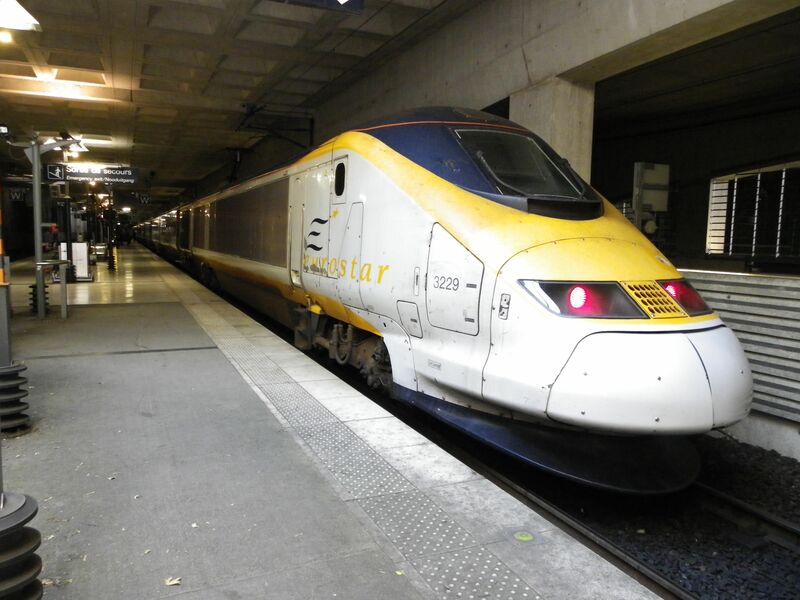 Eurostar has also received in 2015-16 17 new class 374 trains which are of the Siemens type Velaro. They will gradually replace these older ones. This picture is already from 2010 and as you can see, already then these old class 373 trains were suffering from corrosion and extensive use. By 2016 a small number of them are already refurbished and others scrapped. Picture from France at the Lille-Europe station 18.7.2010 by Ilkka Siissalo.